Tyrell Jacobs (left) and Timothy Jacobs (right) are being sought in the murder of a man in West Chester, Tuesday night. Two men are being sought in Tuesday’s fatal shooting of a man at a social club in West Chester. 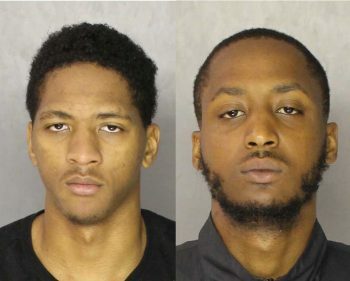 On Thursday, Chester County District Attorney Tom Hogan and West Chester Police Chief Scott Bohn announced homicide charges against Tyrell Jacobs and Tim “TJ” Jacobs for the murder of Eric Brown on April 10 at the Star Social Club in West Chester. Both of the Jacobs are at large and are considered to be armed and dangerous. They are charged with first degree murder, conspiracy, and related offenses. Investigators said that the two men cornered Brown in the back of the social club and shot him once in the chest after an altercation. Brown later died at Paoli Hospital. Although the killing came after a dispute, authorities said that Brown was targeted by the pair. Tyrell Jacobs is 23 years old and Tim Jacobs is 24 years old. They are believed to be half-brothers. Both defendants have been known to frequent the West Chester and Coatesville areas, authorities said. Investigators said that Brown had been playing basketball prior to visiting the Star — and even brought his ball with him, upon entering the Market Street club around 9 p.m., Tuesday night. Police said almost immediately, the Jacobs showed up and began harassing Brown. The incident was captured on surveillance video. Initially, Brown resisted attempts to be drawn into a dispute, they said, even after Tyrell Jacobs threw a punch at him, reportedly. Others at the club attempted to intervene and get Brown to leave, but he declined. After a few more minutes of harassment, Tyrell Jacobs again punched Brown. This time, Brown responded — and both Jacobs went after Brown, police said. Brown attempted to flee, as both Jacobs pulled out guns. Brown tried to escape through a back door at the club, but it led into a locked room, where he was trapped. There the two Jacobs brothers followed him into the room. Reportedly, Tyrell Jacobs then fired a single shot into Brown’s chest. Both Jacobs then fled the club, leaving in separate cars. 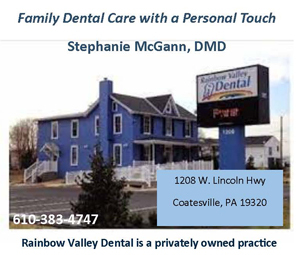 This case was investigated by the West Chester Police Department and the Chester County Detectives. Anybody with information should contact West Chester Detective Bob Kuehn at (610) 696-2700 or Chester County Detective Jim Ciliberto at (610) 344-6866.